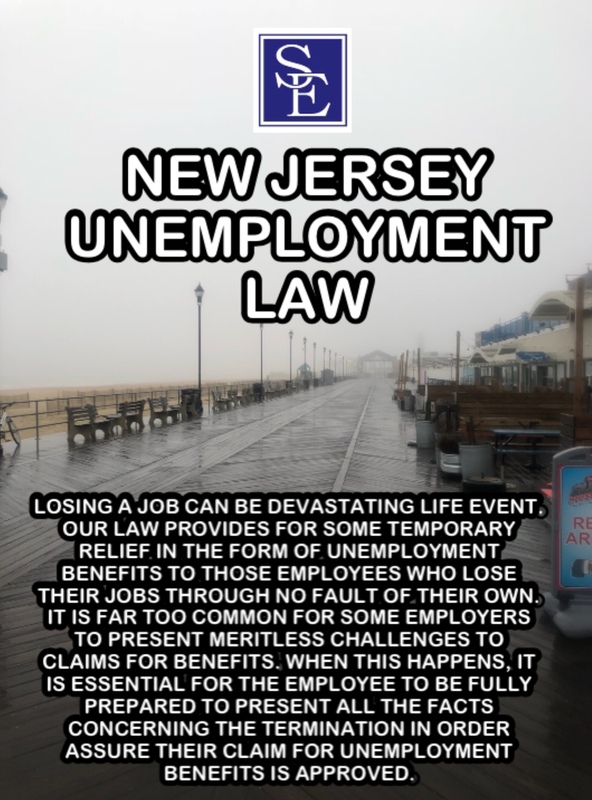 There are a variety of reasons why an applicant may be disqualified from receiving New Jersey unemployment benefits, which include voluntarily leaving their employment, committing misconduct, gross misconduct and failing to apply for or to accept suitable work. An applicant will be disqualified from receiving New Jersey unemployment benefits if the Department of Labor finds that he or she left work voluntarily and without good cause attributable to the work. If the applicant can show that they quit their job with good cause attributable to the work, he or she will be eligible for unemployment benefits. In order to show a voluntary quit was for good cause, the applicant must establish that the cause for quitting the job sufficiently justifies the applicant’s voluntarily leaving the ranks of the employed to join the ranks of the unemployed. If the circumstances of the job compel the applicant to quit his or her job, the applicant may be eligible for unemployment benefits. Some examples of leaving work voluntarily with good cause attributable to the work include having to terminate the employment to avoid acting illegal, immoral or work in a dangerous or unhealthy working environment. An involuntary termination of employment as the result of “misconduct” will disqualify an applicant from receiving New Jersey unemployment benefits. There are two types of misconduct, which include simple misconduct and gross misconduct. New Jersey unemployment was amended on August 24, 2018 to eliminate severe misconduct as a form of disqualification. Simple misconduct or misconduct is defined as conduct which is improper, intentional, connected with the individual’s work, within the individual's control, not a good faith error of judgment or discretion, and is either a deliberate refusal, without good cause, to comply with the employer's lawful and reasonable rules made known to the employee or a deliberate disregard of standards of behavior the employer has a reasonable right to expect, including reasonable safety standards and reasonable standards for a workplace free of drug and substance abuse. N.J.S.A. 43:21-5(b). Misconduct will not include an employee's advertence or ordinary negligence in isolated instances, or inefficiency or failure to perform as the result of inability or incapacity. This means that ordinary negligence in performing job duties, as opposed to intentional, malicious and deliberate conduct, is not a reason for the disqualification of a person who loses their job through no fault of their own being disqualified from receiving unemployment benefits. A simple misconduct or misconduct disqualification will prevent an applicant from receiving unemployment benefits for the week of the termination and the subsequent five weeks. Once this disqualification period ends, the applicant becomes eligible to collect unemployment benefits. Gross misconduct is a termination as a result of the applicant committing a crime of the first, second, third or fourth degree under the New Jersey Code of Criminal Justice. A termination for gross misconduct will disqualify an applicant from receiving unemployment benefits until he she returns to work for at least eight weeks, earns ten times their weekly benefit rate, and becomes unemployed through no fault of their own. Examples of gross misconduct can include terminations for theft, fraud, assault and other criminal activity. An individual is disqualified from receiving unemployment benefits for any week he or she fails, without good cause, to apply for available and suitable work or to accept available and suitable work. The disqualification period for failure to apply or accept suitable work is for three weeks in addition to the one week waiting period. An individual will not be denied benefits for refusing to accept suitable work unless there was a bona fide offer of work or referral to work that the individual refused. A determination of the suitability of a particular job takes into account the degree of risk to health, safety, morals, physical fitness and prior training experience, prior earnings and employee benefits, length of unemployment and prospects of finding work in the individual’s usual occupation, and the distance of the work to his residence. For there to be a “bona fide offer or referral,” the following must be shown: 1) there was a specific job offer containing job details such as duties, rate of pay, and hours of work; and 2) the offer was made in writing or orally to the individual. 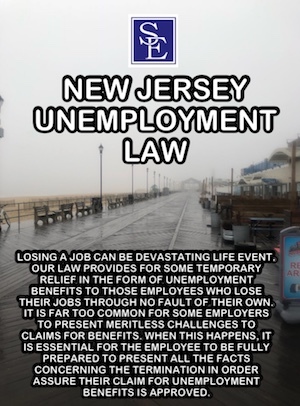 A substantial reduction in an employee’s wages constitutes good cause for leaving work under New Jersey unemployment law. The ultimate determination of whether someone will be disqualified from receiving unemployment benefits is fact specific. If you are in need of an experienced unemployment attorney to assist you in your appeal of a denial of unemployment, please contact one of your unemployment lawyers to discuss the specific facts and circumstances concerning your claim of unemployment benefits.